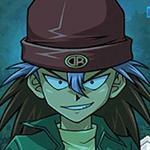 This page notes Odion's skills, level-up rewards, starter deck, and cards and skills you can get by winning a duel against Odion. Odion's Endless Trap Hell skill will be changed on May 23. The new skill description is below. Endless Trap Hell Can be used when you have 3 trap cards in the Graveyard. 1 random Trap Card in your Graveyard is added to your hand. Then, shuffle 1 random Trap Card in your Graveyard into your Deck. This skill can only be used once per Duel. This skill provides advantage to the deck that depends on Trap cards and effect damage although there are not many trap cards that could inflict effect damage in the current card pool. 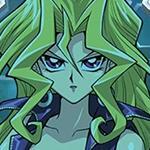 When equipped with this skill, it is suggested that player includes “Attack and Receive” of 3 copies into the deck. As normally; without this skill, the activation of 3 copies would deal total damage of 3000 damage to the opponent’s Life Points. However, under the effect of Chain Trap skill, it would deal 3600 damage. If the opponent’s deck did not include any Life Points recovery cards, it would take 2 more activation of your trap cards to finish the duel. 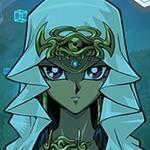 You obtain Curse of Anubis by getting Odion's level up to 21. Although the trap card is a bit more situational than Windstorm of Etaqua since many players use non-effect monsters in current meta, it works well against high stats effect monsters like Kazejin and Kaiser Sea Horse. 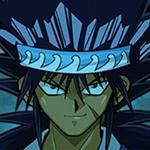 Many of duel reward cards received from Odion are very useful for different kind of decks, such as Hand destruction deck (“Decayed Commander” and “Zombie Tiger”), Gravekeeper’s Deck (“Gravekeeper's Recruiter”), and “Millennium Scorpion” for strengthening insect-type theme-deck or deck to get high score. 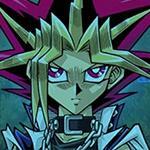 Therefore it is suggested for players to spend Black Gate key on dueling Odion than on Yami Yugi. 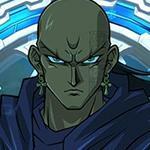 Odion is the servant of the Ishtar family and has sworn his allegiance to Marik. An honest Duelist who Duels fair and square, his Deck is comprised of Trap Monsters, such as "Embodiment of Apophis," to ensnare his unsuspecting opponents. 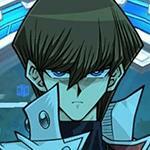 ---But This character played a Free to play competitive deck for several months. 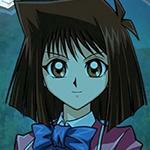 Remember when Teà was the overused character that players hated seeing every duel? Well now it’s this douchebag. Not sure why Komoney refuses to do anything about his traps, which abuses a glitched skill at that. Finally, someone who gets it. I wonder just how many people who are always playing the characters with the ultra good skills truly even like those characters. 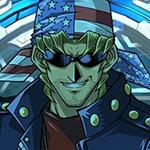 Arkana, Bandit Keith, Mako, Zane? Bandit Kieth, maybe. But Arkana and Zane have only been used recently. Mako was overused back when aqua decks where relevant. but why can he still activate "solemn scolding the next turn?" after the skill activated ? Life Cost 0 give you two turns of no payment cost. Turn 5: You activate it. No cost to pay. Turn 6: Still active. No cost to pay. Turn 7: Not active anymore. You must pay the cost again. So when it's the 3+ turn after, then it's bugged(but never encountered that). Noticed something and that bothers me. 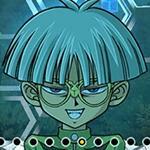 Why are people playing as Odion with an amazoness deck, a lot of people keeps using it. Endless trap hell and learn to use rely, it's very annoying. More than half of my duels are against this guy and I am so sick of him! 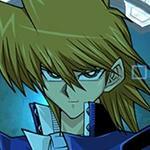 This is a Question for this sites admin, why is this site half assing the duelists? no matter what stage above like 10 or so all the way to max (currently 60) you fight level 30 legendary duelists yet this site ignores them. Level 40 may drop good exclusive cards only but i still want to farm level 30 duelists too, heck i just got draw sense earth and draw sense dark in a single duel with level 30 Mai Valintine. Temple of the king allow you to active trap card when it set. Odion is heavy trap guy and this is his weapon. "It costs 400,000 Gems to use this deck, for twelve seconds"